Graham's fabulous party continues with the favors... Everyone received their favor bags when they arrived because I wanted them to enjoy the fun at the party. 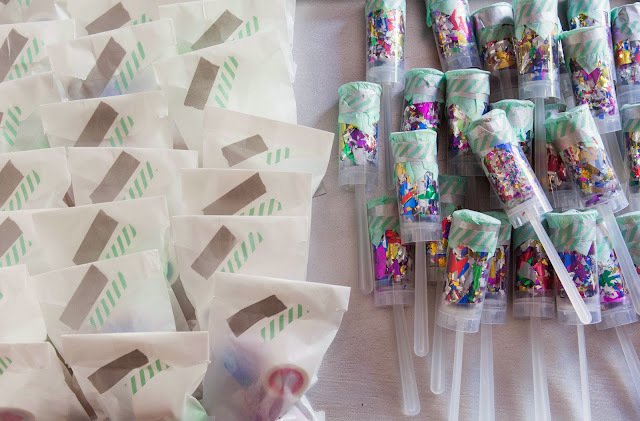 They contained mini custom buttons, finger lights, flashing flower rings, glow bracelets and little lip balms. 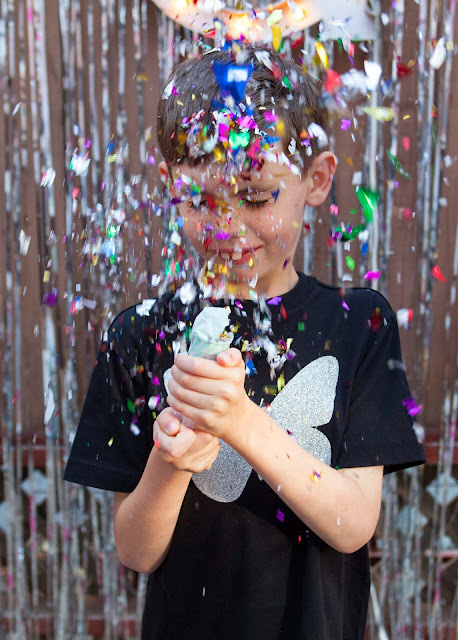 Funny story: Graham was so excited the morning of the party that he activated all 150 glow bracelets at 6:00am. I didn’t think they would make through the party, so I sent my husband to run out and buy more. Well, they had much longer staying power than I anticipated, so we A LOT glow sticks! Oh well – no one was complaining! 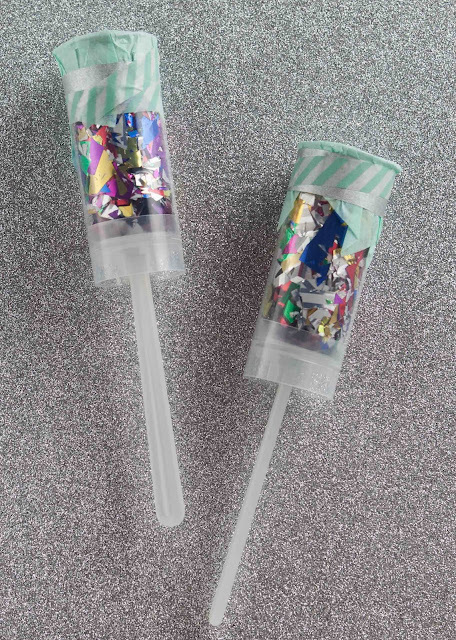 I also made confetti poppers inspired by Sharon of Cupcakes & Cutlery. 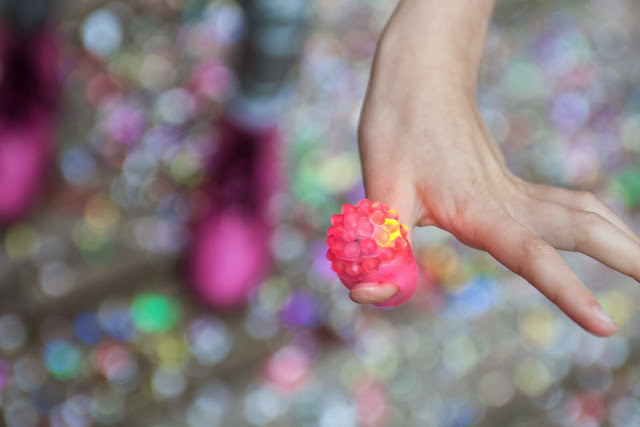 They were so much fun and yes, I will be vacuuming confetti for the rest of my life! 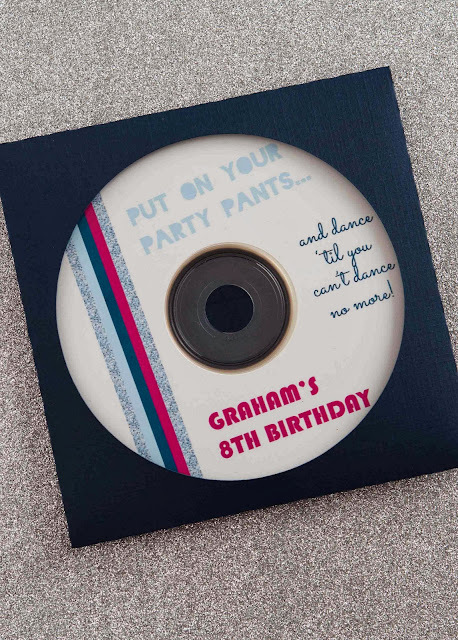 It has become a tradition to create a CD of Graham’s favorite music as a parting gift at his parties, so everyone went home as that as well. I'll wrap it up tomorrow with fun pics from the party! Invitations, CD labels, custom buttons, heart stickers: Merry Happy by Cake. When Kim of The TomKat Studio asked me to contribute a recipe to her annual gift guide I knew instantly what I wanted to share. I've been making these butter toffee peanuts to accompany a chocolate cake at my day job as pastry chef at Zut! and they have been a huge hit. 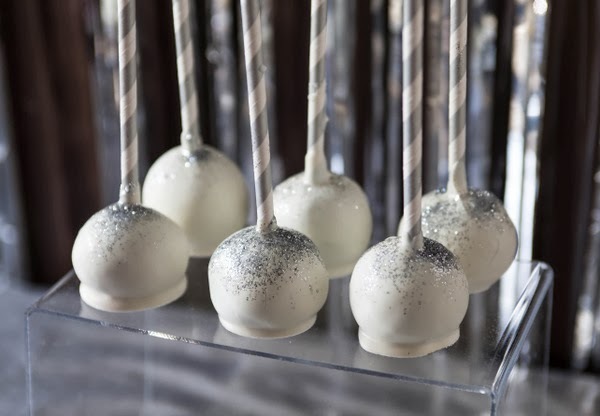 They make the perfect party favor or hostess gift for the holidays - they're easy to make, they stay fresh for a long time and they are completely addictive. 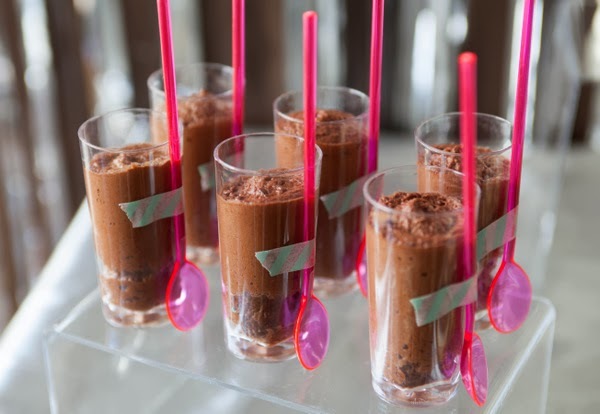 For the recipe (and lots of other amazing goodies), download the 2013 TomKat Holiday Guide. Best wishes for a peaceful & fun-filled holiday season to all! The adorable jars are available from the TomKat Studio here. 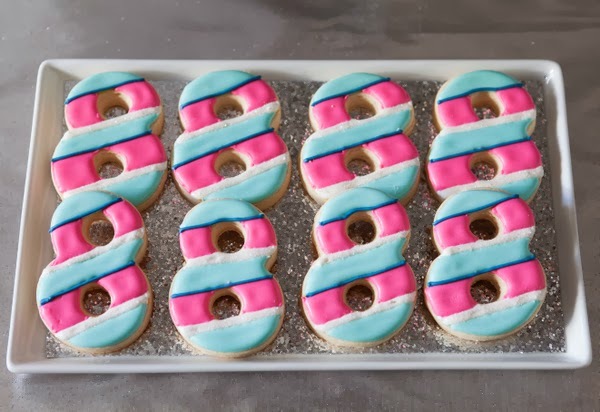 Eight is Great - the sweets! 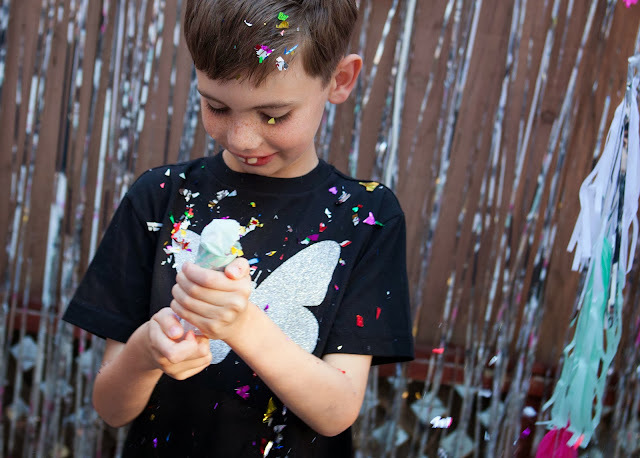 Next up from Graham's Disco party - the sweets! As a pastry chef, putting together the dessert table is always a passion for me. Since I knew the kids were going to be inundated with piñata candy, I tried not to go too overboard. I created a 2 tiered fondant covered fresh strawberry cake, mini vanilla cupcakes, glitter dusted truffle pops and milk chocolate mousse cups. For the first time, I asked another baker to contribute. I am so happy I did! 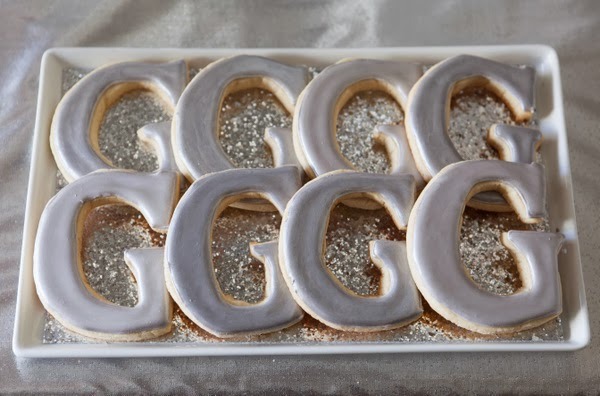 Sarah of Bird Treats created the most exquisite and delicious G & 8 sugar cookies. It was really nice to take one thing off of my plate! 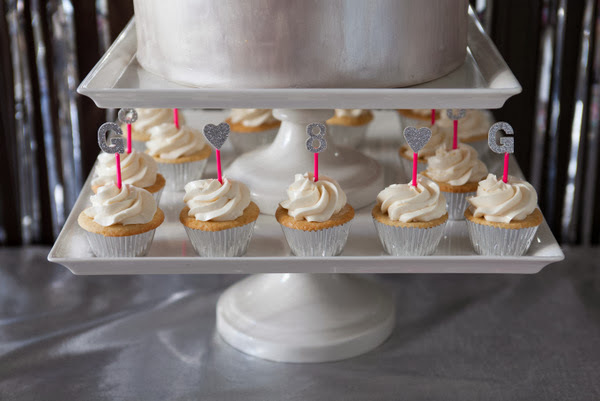 I already own a ridiculous number cake stands and platters, but I just had to buy the acrylic risers to complete the modern, clean look. Still to come... favors & party pics! 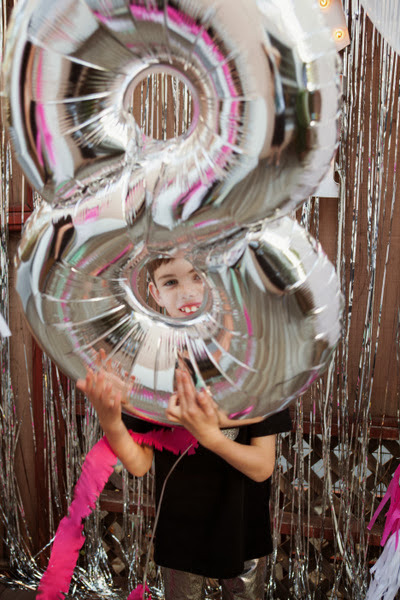 I am so thrilled to be sharing my son, Graham’s eighth birthday party photos. 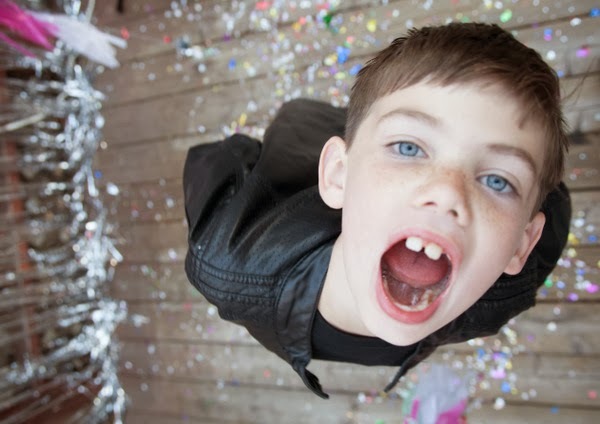 When we started planning his party the one thing he wanted do “dance, dance, dance!!!”. 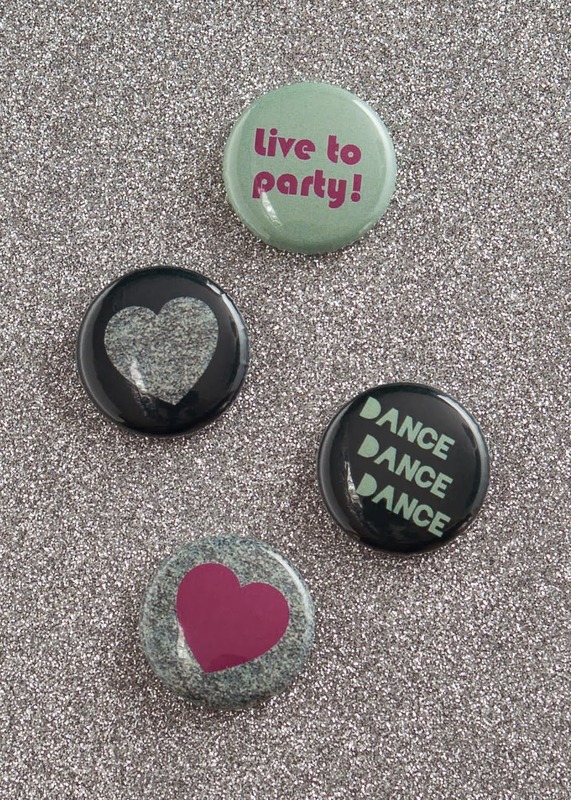 I liked the idea of a disco party, but I didn’t want to go with the traditional 70’s look. 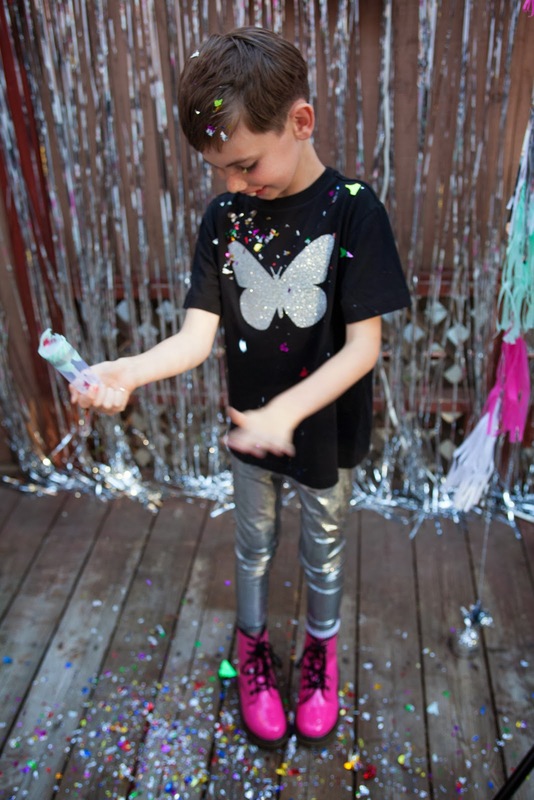 I was really inspired by this party by Bash Please and hoped to create a fun, but sophisticated and modern look. Working with a small budget, this was definitely a DIY affair. 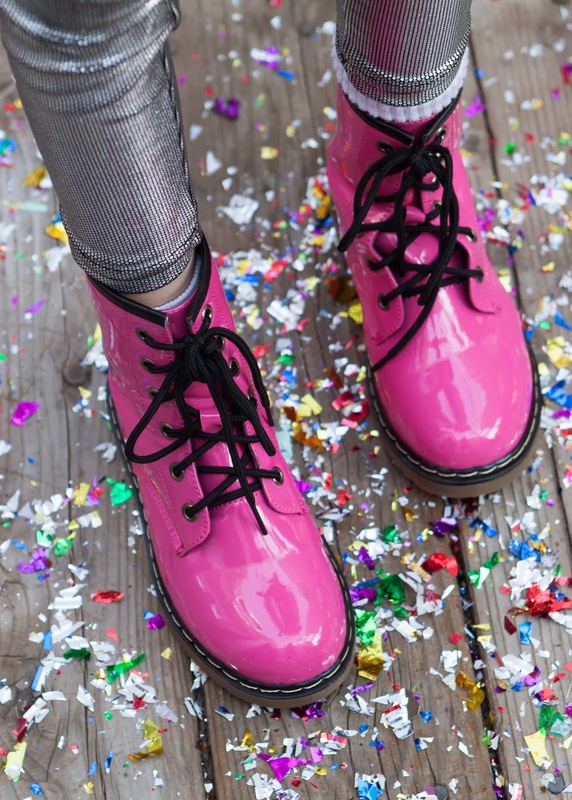 I considered renting a space for the party, but decided to keep it at home to save money & also give me more time to decorate and personalize the space. 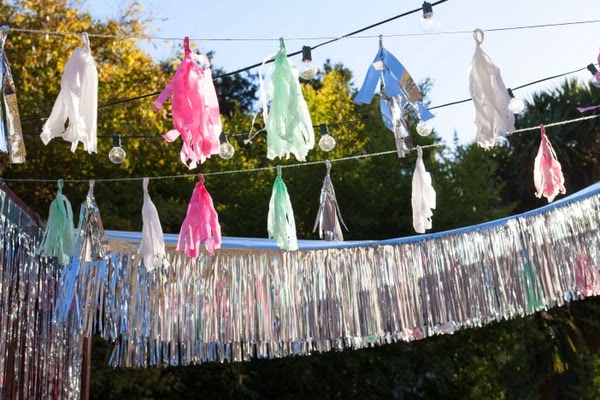 I purchased silver fringe curtains for a backdrop for the dessert table and also to transform our deck into a dance floor. 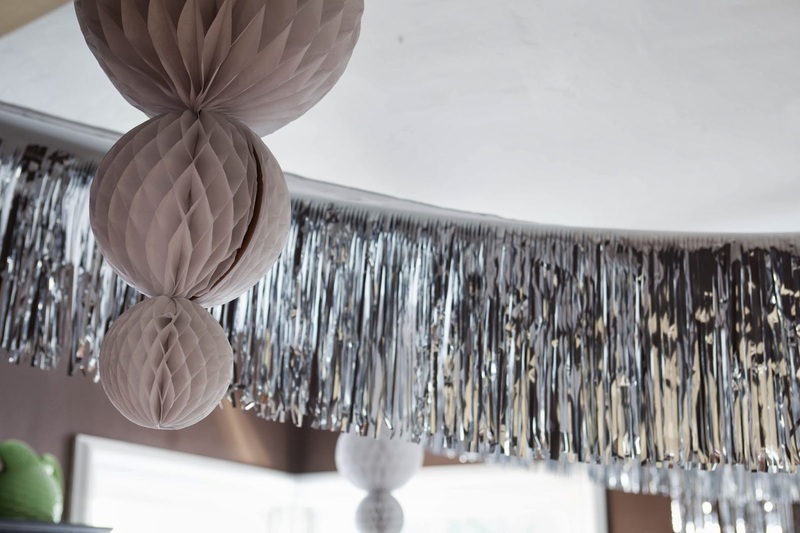 I used silver fringe, handmade tassel garlands and honeycomb balls to decorate both our dining room (where the dessert table was) & deck. 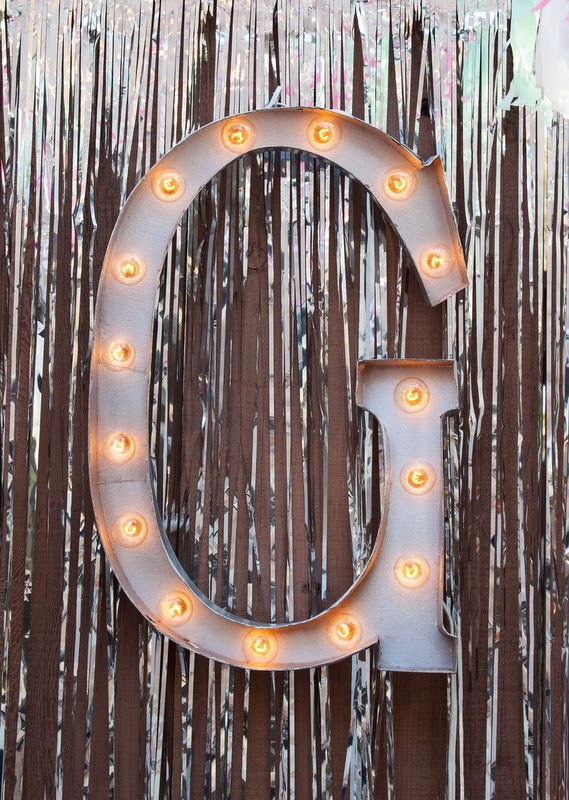 I. I also created a lighted marquee letter “G” for the dance floor. 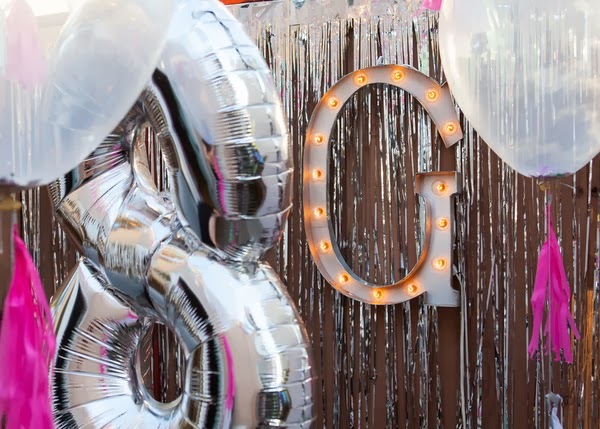 Giant clear balloons filled with metallic glitter – some filled with helium, some not – and a silver eight balloon rounded out the decorations. 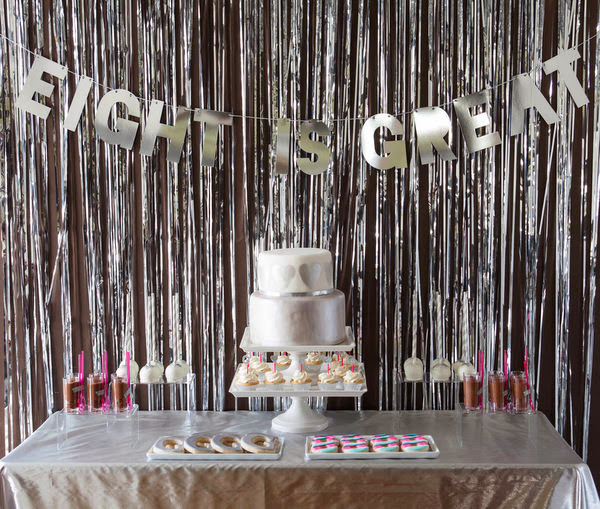 A helpful note: Command strips & hooks saved the day for this party. 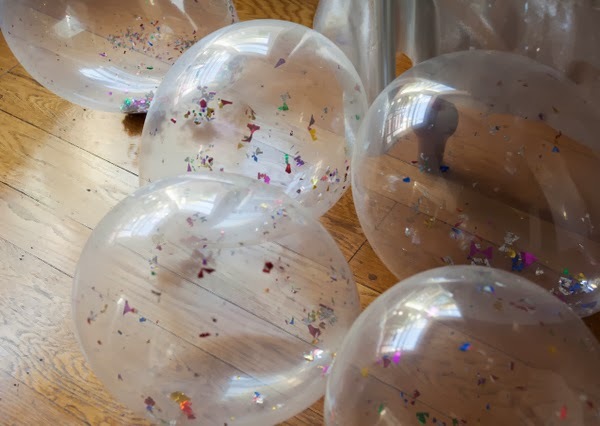 They held up all the decorations inside & without damaging any surfaces. They were amazing! I asked my dear friend, Becca of Cake. 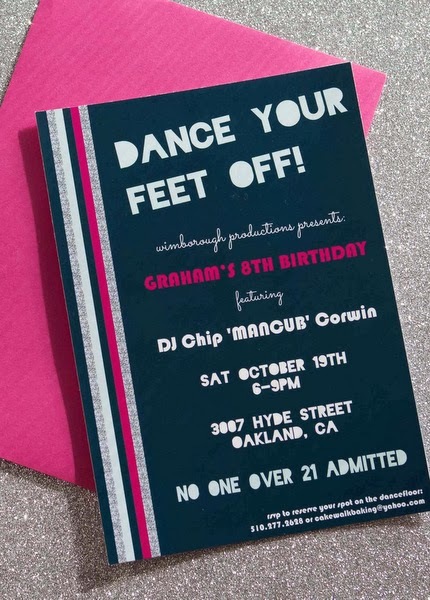 to create the invitation and was absolutely thrilled with the results. I knew I wanted the basic color scheme to be hot pink (Graham’s favorite color), mint and silver. When Becca added the midnight blue background it really gave design the sophisticated look I was going for. 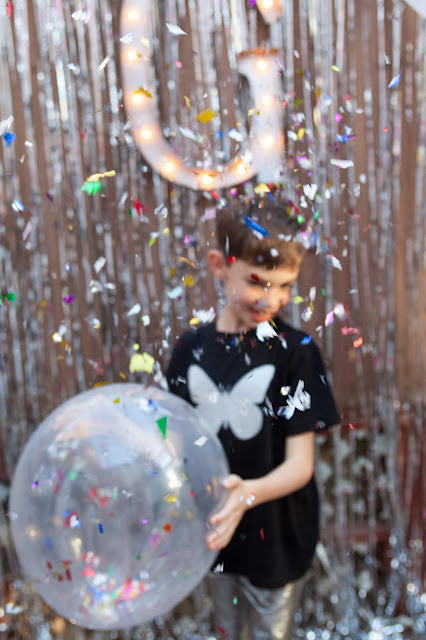 We added the caveat “No one over 21 allowed” because with 20 kids coming, there wasn’t going to be room for all the parents on the dance floor. Come back tomorrow for the sweets & treats!